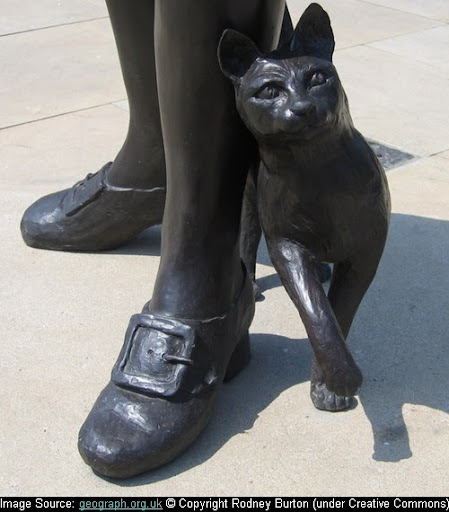 There are many statues of the cats around the World but these are either installed as a decoration pieces or are statue(s) of ancient goddesses which resembled like cat. 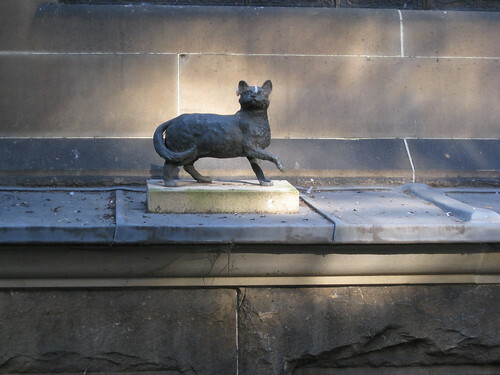 'Trim' - the cat of Matthew Flinders, (one of the most successful navigators and cartographers of nineteenth century) is perhaps only real cat in the World's who has the unique distinction of having not one, but two statues installed - one in Sydney, Australia and other in Donington, UK, the birthplace of Flinders. 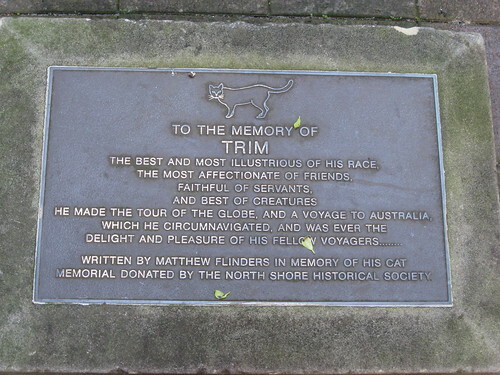 Trim was born in 1799 and as a kitten fell overboard aboard HMS Reliance on a voyage from the Cape of Good Hope to Botany Bay, Sydney. The little kitten however braved the sea and managed to swim back and climb aboard the ship by scaling a rope. Flinders was very impressed by kitten's strong survival instinct and intelligence and made him his pet. Thereafter Trim always accompanied Flinders in all his voyages around the World including circumnavigation of the Australian mainland and also survived the shipwreck of the HMS Porpoise on Wreck Reef in 1803. Trim travelled with Flinders, when after the wreck, Flinders (who was then a passenger on Porpoise) and other crewmen of Porpoise took a cutter and headed to Sydney to seek rescue. Through marvellous navigation they made the 800 mile voyage to Port Jackson in about 2 weeks and the navy was able to send rescue ships. Later, Trim was Flinders' companion in the jail, when in 1803, he was imprisoned in Mauritius by French, for unknowingly violating the terms of his scientific passport and was accused of spying. Unfortunately during the jail years Trim vanished one day, probably he was stolen and eaten by local slaves. As per Flinders. Trim was "clear jet black, with the exception of his four feet, which seemed to have been dipped in snow and his under lip, which rivaled them in whiteness. He had also a white star on his breast." In 1996 a bronze statue of Trim by sculptor John Cornwell was erected on a window ledge of the Mitchell Library (State Library of NSW) in Sydney, directly behind a statue of his owner. 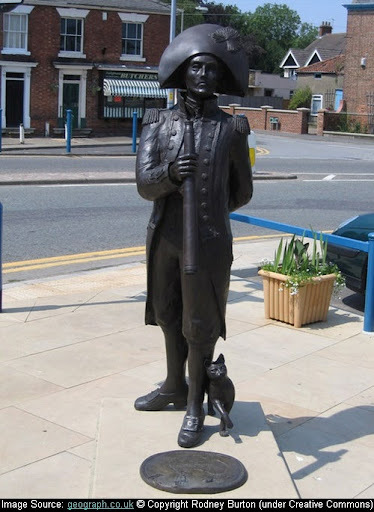 In another statue put up in March 2006 in Donington, Trim is shown at the feet of his master. The statue at Donington, U.K.